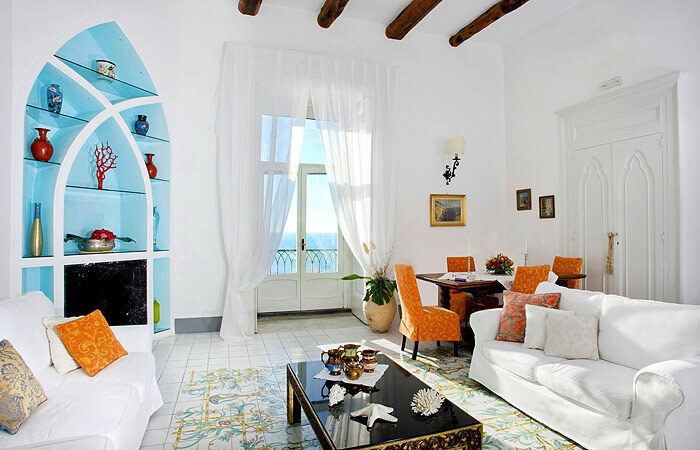 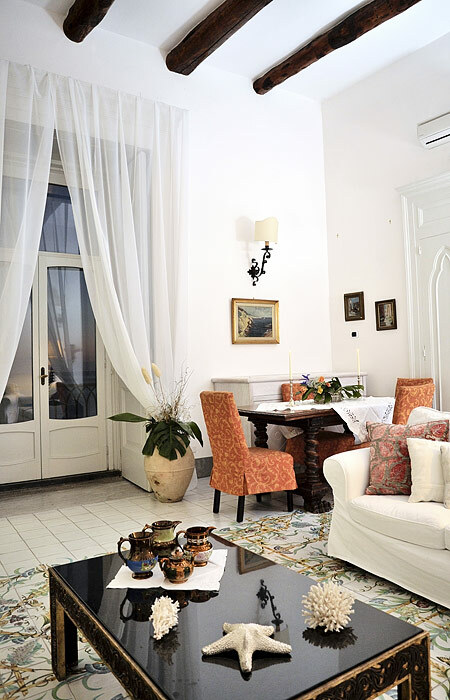 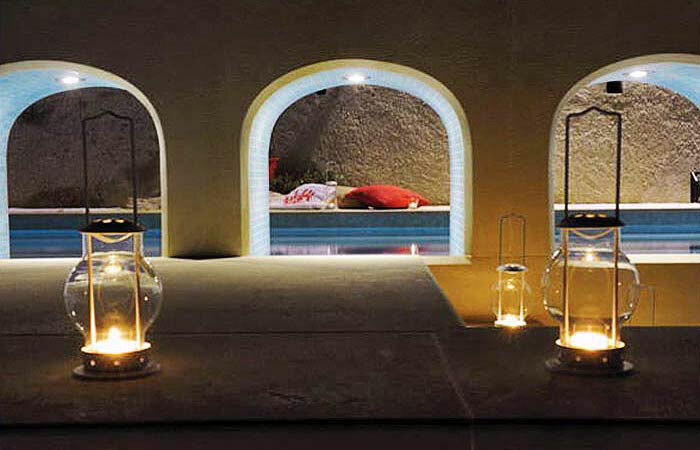 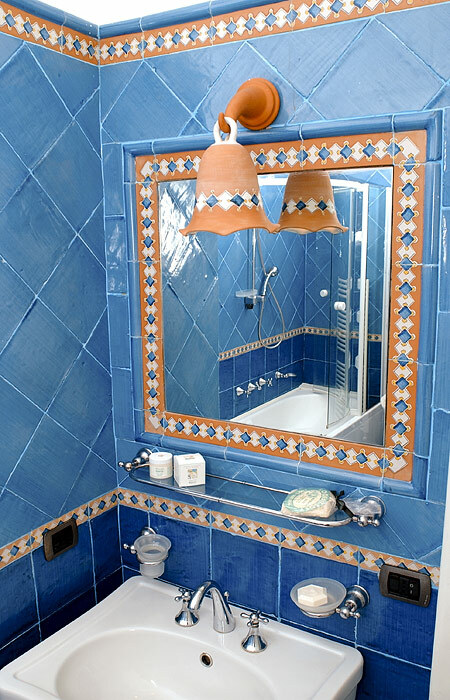 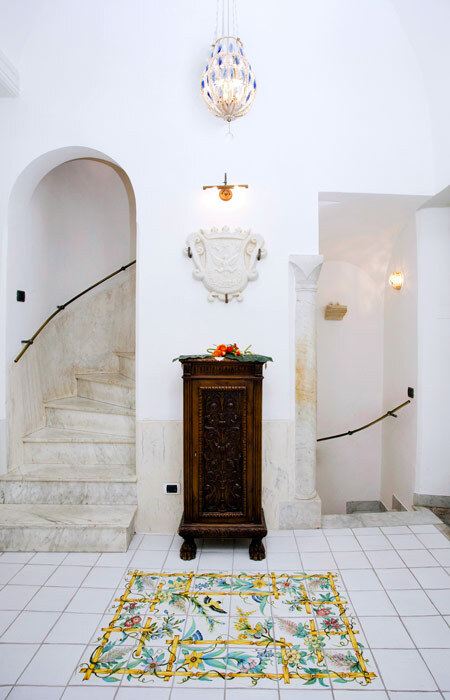 The warmth of a much-loved private home, the amenities of a luxury hotel: Villa Principessa is the kind of place in which dream holidays on the Amalfi Coast come true. 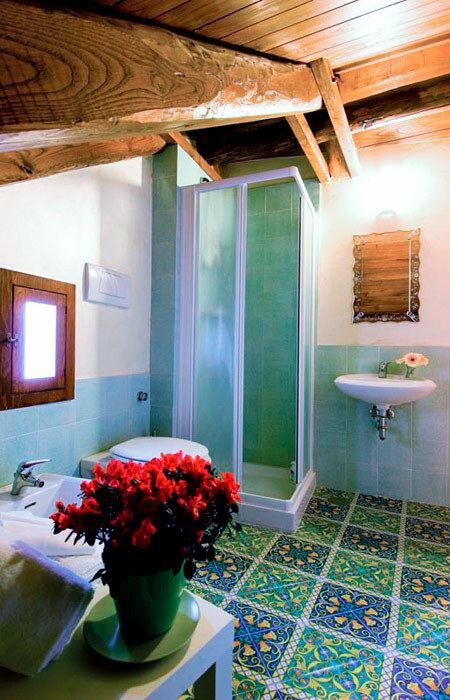 There are two ensuite bedrooms on the first floor, one has has a Jacuzzi tub, the other a shower with chromotherapy. 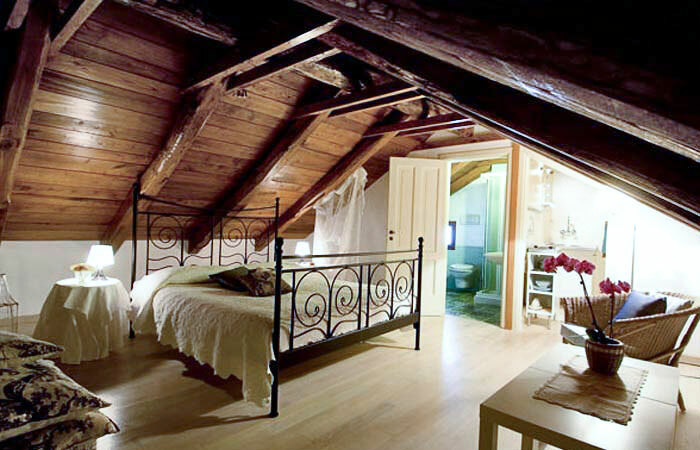 The third bedroom occupies a top floor and comes complete with kitchen corner and private bathroom with shower. 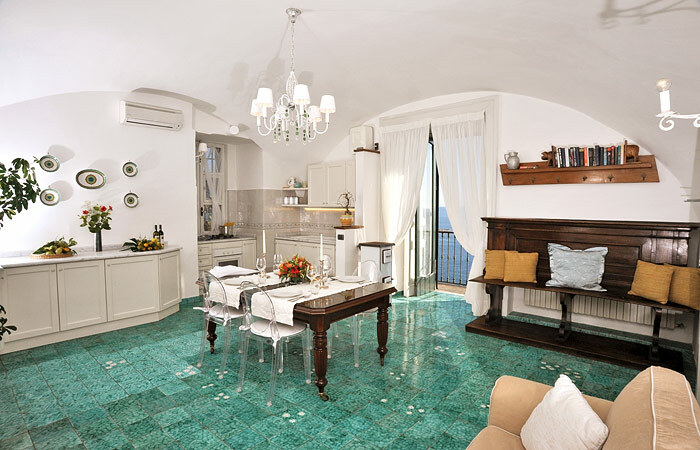 Floors paved in hand-painted majolica, 19th century antiques, comfortable sofas, satellite television, DVD player, Hi-Fi, air conditioned, high speed internet connectivity and an internet point: it's only too easy to relax and unwind in Villa Principessa's living room - the heart of the house. 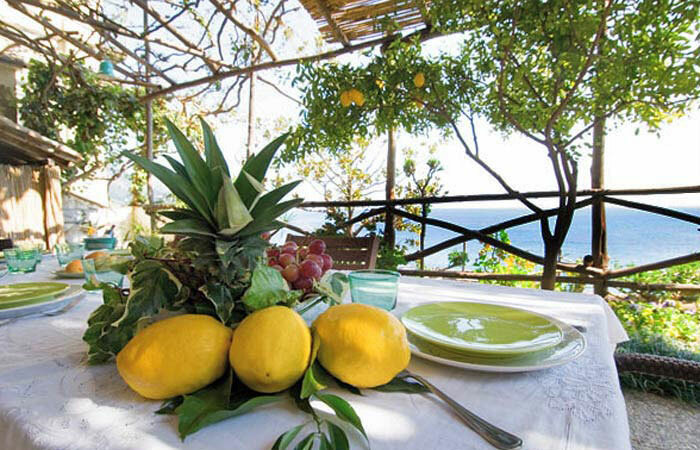 The ideal choice if you wish to self cater, Villa Principessa's kitchen is equipped with everything you might possibly need to whip up an authentic Mediterranean feast - to be devoured in the dining room or, al fresco, on the terrace. 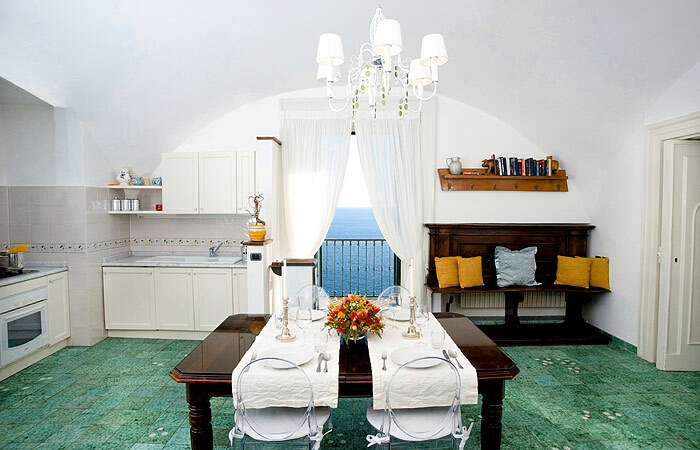 Don't want to cook? 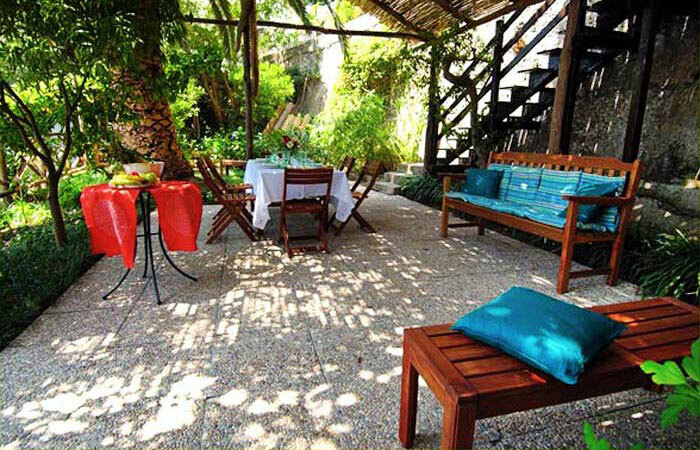 Request the services of a personal chef and sit back and relax instead! 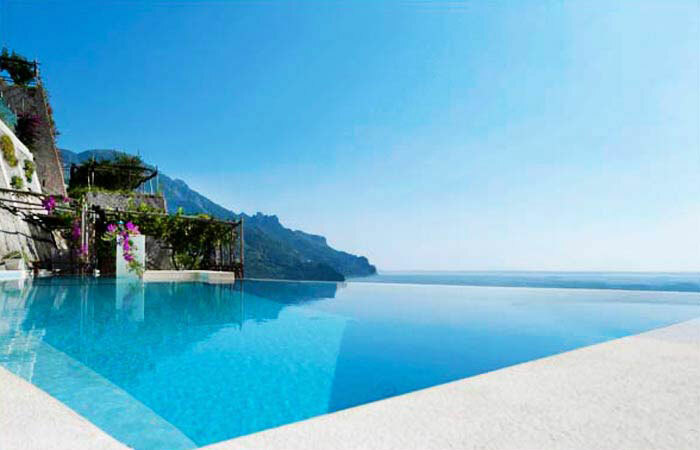 In the last 30 days 158 people have visited this page. 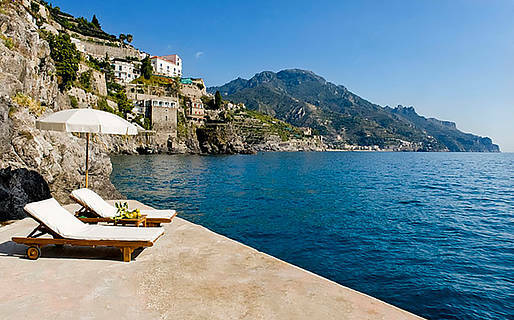 Not everybody knows that there's a part of Ravello by the sea: Marmorata. 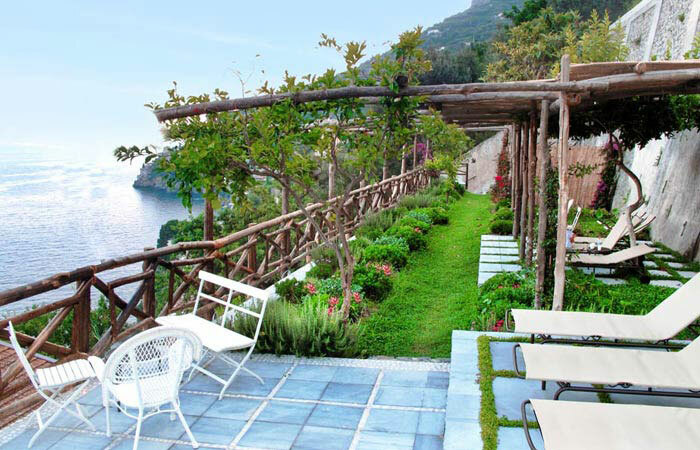 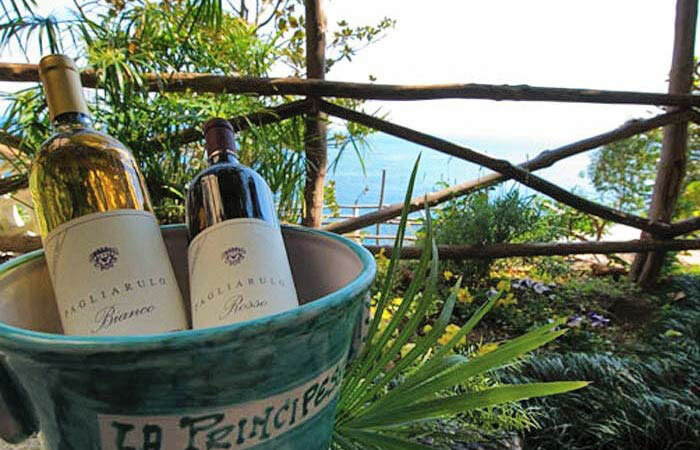 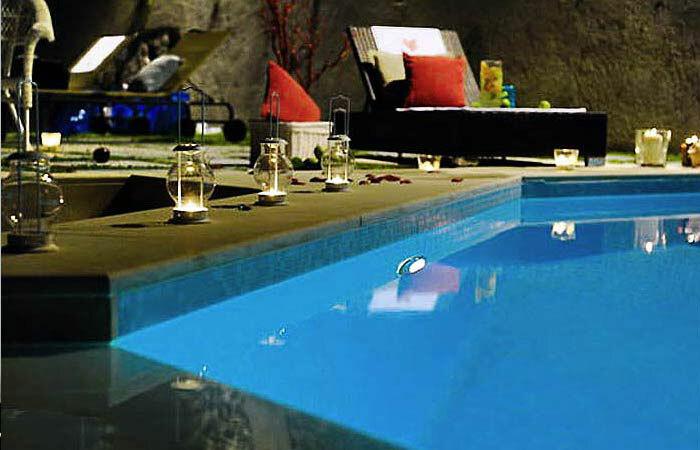 And it's here on the rocks directly above the sea that Villa Principessa is located. 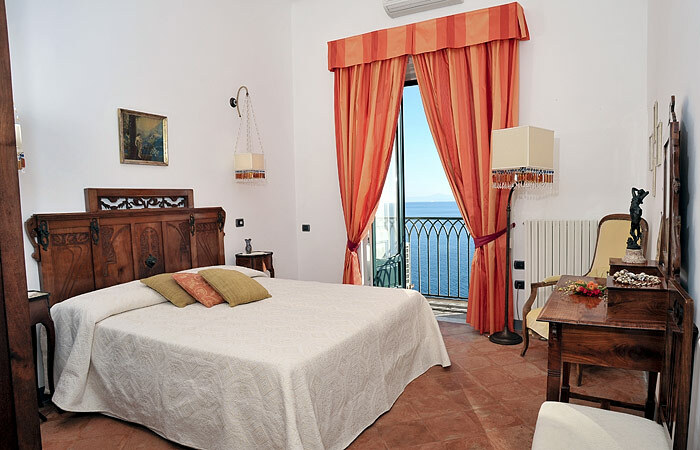 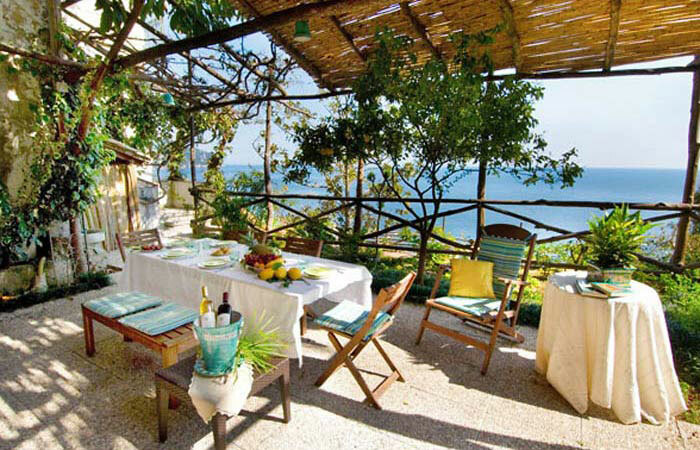 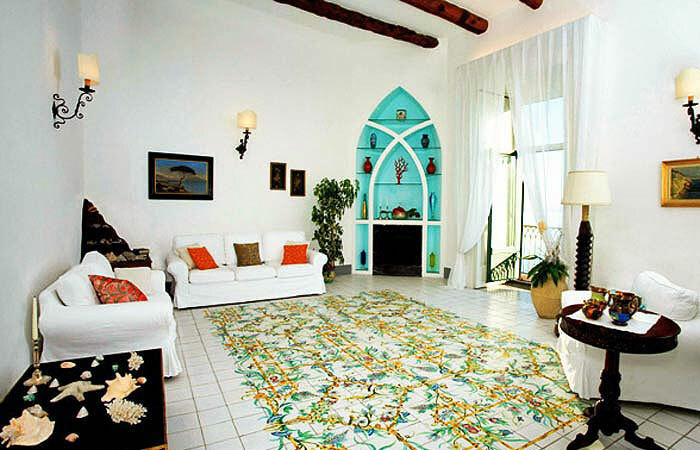 Amalfi is less than 2kms from the villa. 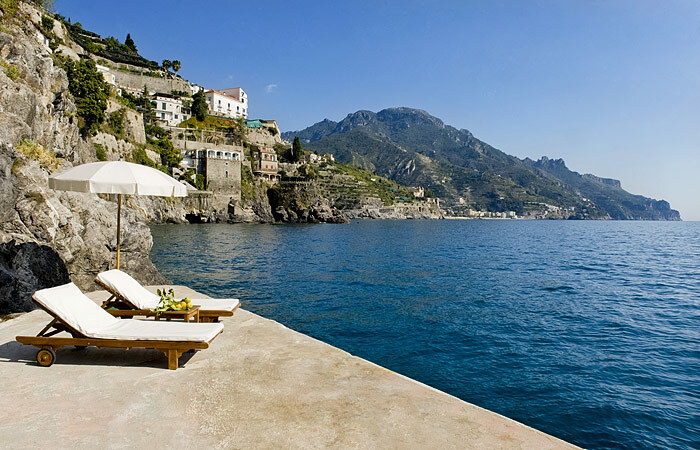 From Amalfi you can quickly reach all the other towns dotted along this spectacular stretch of the Italian coastline: Atrani, Positano, Furore, Minori, Maiori, Cetara and Vietri sul Mare. 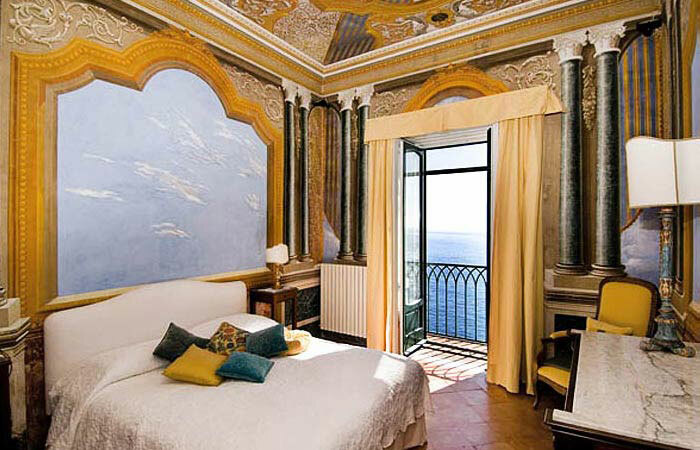 Immediately north of the Amalfi Coast, Sorrento, Pompei and Herculaneum all make great day trips. 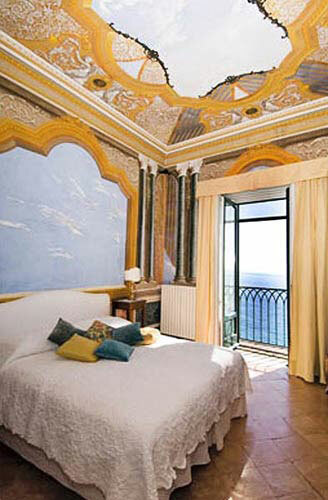 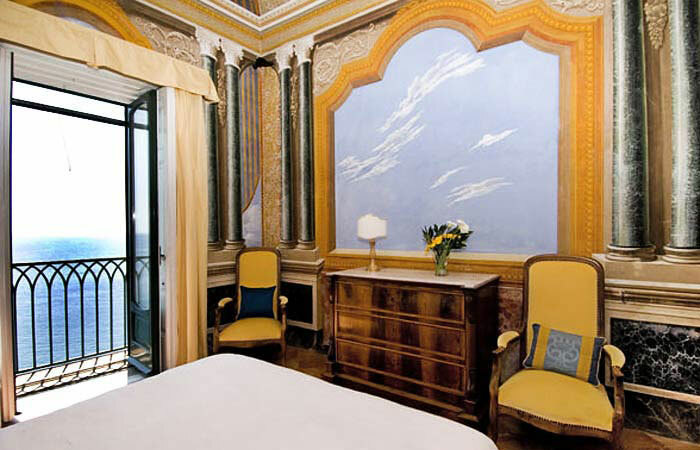 Naples, and the city's ports, train stations and airport, are just over an hour's drive away.